The somewhat humorously named PlankTone Music Player was born out of a clever idea that should appeal to every music lover. PlankTone's concept addresses a peculiar discrepancy — each song sounds unique, yet most multimedia players treat every piece of music uniformly, applying the same EQ shape, volume level, and tonal characteristics across your song library. Most people are perfectly content with this state of matters, but audiophiles and music addicts will probably love the opportunity to, essentially, have a custom preset ready for every song. That's where PlankTone storms the Android music player stage with its backing band — the Track Sound feature and the custom Octopus Sound Engine. 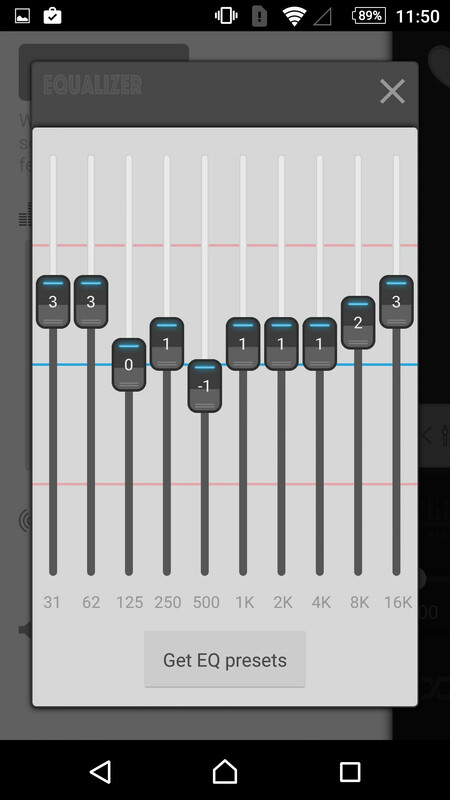 Track Sound lets you adjust the sound processing effects of each track individually. Say you want more bass for this song, and more treble for the next song? No problem, call up Track Sound and adjust the EQ shape for said tunes! While you're at it, throw in Track Tones (Normal and Vivid) and Track Gain levels (separate from Android's system volume), which you can apply to each track, album, or artist. As for Octopus Sound Engine, which is PlankTone's second stand-out component, this feature promises to deliver the most authentic reproduction of the original sound that's possible on your mobile device. The engine aims to eliminate distortion and preserve the original dynamics of the recording. According to the developers, the sound quality is comparable with that of "exclusive high-end portable music players". Even if PlankTone doesn't live up to such a demanding promise, you'll probably like what you hear. These interesting aspects aside, PlankTone also features a pleasant user interface that's based on Google's Material Design look, but opts for smooth custom graphics rather than stock Android assets. PlankTone's core music playing functionality is free, but the Track Sound feature is put on a 7-day trial, and the Octopus engine is available under a 14-day trial. After the period expires, you will have to purchase the components as in-app products. Buying both at once costs about $10. Sep 27, 2015, 2:28 PM, by Luis D.
Sep 23, 2015, 6:09 AM, by Luis D.
Aug 23, 2015, 9:18 PM, by Florin T.
Feb 28, 2015, 6:42 PM, by Florin T.
The IAP is just RIDICULOUS, period. Audiophiles spend a lot, it might be worth it. But if you want to buy a service for your phone that lets you play true HiFi music, buy an ACTUAL phone that actually plays true, native, real HiFi, like an Xperia Z5. An app can't nearly replicate the functionality of a native service. Or a DAC. I think ViperFX still wins over all else besides real hardware/ DAC.